Armored Core is series of mecha-based video games developed by From Software, for various gaming platforms. 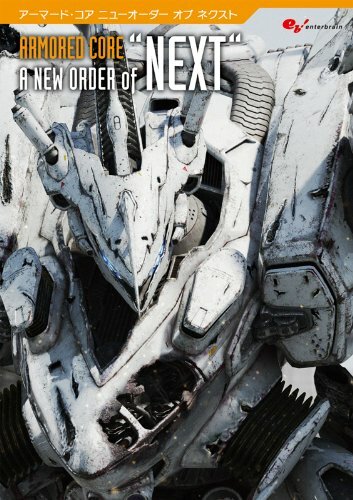 This art book アーマード・コア Armored Core A NEW ORDER of “NEXT” collects the design works from Armored Core 4 and Armored Core: For Answer. It's a 240-page paperback. The first part of the book is like a visual companion for the game. You'll see the mechas featured and writeup on their organization. The mechas have all their parts separated for individual analysis. There's quite a significant amount of writeup. The second half of the book has the design sketches. They look like those engineering type of drawings, very intricate and looks good. The commentary here focuses on the design concepts. There are designs all the way from the head to the leg, including the arm unit which is the weapon. There are lots of different parts to see. Armored Core fans will probably like this book. Artists who are looking for inspiration on designing mechas should also find this book useful. Parka, I leave in México and I always wanted to buy some books from amazon but they don't send books to my city (as far as I know)... Do you know any other way? I live in Mexico and I've bought books and movies from amazon since 7 years, don't know where you live, but amazon indeed delivers to all parts of the country. Mostly it depends of the mexican mail service. And of course, some items are not allowed to be sold outside the E.U. parka, any idea where i can get this in SG? You can try placing an order at Kinokuniya (Orchard). Not sure how much it will cost. Or you can join my end-of-the-month Amazon order - this book should be SGD$47. so mecha without armor so you can see how the work. I can't remember if I've seen any books like that.